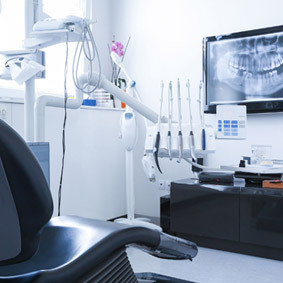 Family Dentistry and Denture Center – A Dentist for the whole family. 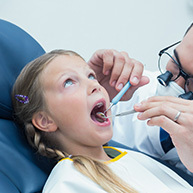 Family Dentistry in Wyoming, Michigan offers family friendly environment for any of your dental needs. We are family owned and operated business since 1980. Our family friendly environment is great for kids. We try to make the experience fun for them. We aim to put our patients first. Let us know of any needs you may have. We are here to serve you. We make every attempt to make sure we are able to see you the same day. Please call us for details and to schedule your appointment. . Call 616-534-5602. Your families care is our number one concern. Without you we couldn't provide the services we do. Providing a relaxing environment for your care. Our Professional staff is here to serve you. We only provide the best care for our patients. Leaving patients with beautiful smiles. I haven't been to the dentist in 15 years. Eliza and Dr. Ryan did not judge me, or make me feel bad about it. The office is very welcoming and I have already referred friends to come here! I am always completely satisfied with the perfect mixture of professionalism and personal interactions. 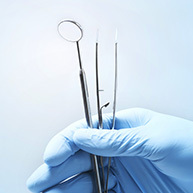 My visits are always comfortable and totally satisfied with the dental work I have had done. Very friendly environment and the staff went above and beyond to make sure I was comfortable and well-treated. Answered all of my questions thoroughly and kept me aware of every step of treatment taken. I have had a great experience with Dr. Ryan and his staff! Dr. Ryan took the time to listen to my concerns and came up with the best treatment plan while keeping my special circumstance in mind. He is very caring, showed me great sincerity, all the while being very professional and intelligent, that's a hard mix to find in the medical world. The staff I've worked with have also been amazing, Pat, Lisa, Vickie, Pam, and Kim went above and beyond making me feel welcome, giving me great patient care and being truly kind! Please go see Dr. Ryan and staff at Frederickson Family Dentristy, they'll take excellent care of you!!! This was my first time as a patient here, and it was very nice. Dr. Ryan was amazing and answered all my questions. The facility is the best I've seen, very loser, clean and welcoming. I am actually looking forward to my next appointment... never thought that was possible. Great front office and Dr. Ryan and Dr Lee are the best! Dr. Frederickson and his staff are incredible. A new, state-of-the-art facility with a kind and attentive atmosphere. Very impressed and will definitely encourage others to seek their dental care here. Although my experience with dentists has been limited to the US Army, my experiences with Dr. Fredrickson, Sr. & Jr., have been wonderful. Dr. Fredrickson Jr. actually saw me walking down Chicago drive to a job interview at the Jenison Mijer and offered me a ride. The staff is wonderful, very respectful, and especially to me since I'm transgender, very helpful and they make sure you as the patient understand everything that you need.